Monster Hunter 3 Ultimate Packet Relay Tools allow you to play the Nintendo 3DS version of Monster Hunter 3 Ultimate with other players online via a Wii U console that is connected to the Internet using the Wii LAN Adapter or Wii U LAN Adapter (to be sold separately). To play co-operatively over the Internet, at least one of the party of up to four players must own a copy of Monster Hunter 3 Ultimate on Wii U, and must host the online game for the other players to join. Monster Hunter 3 Ultimate Packet Relay Tools can be downloaded for free from Nintendo eShop on Wii U. 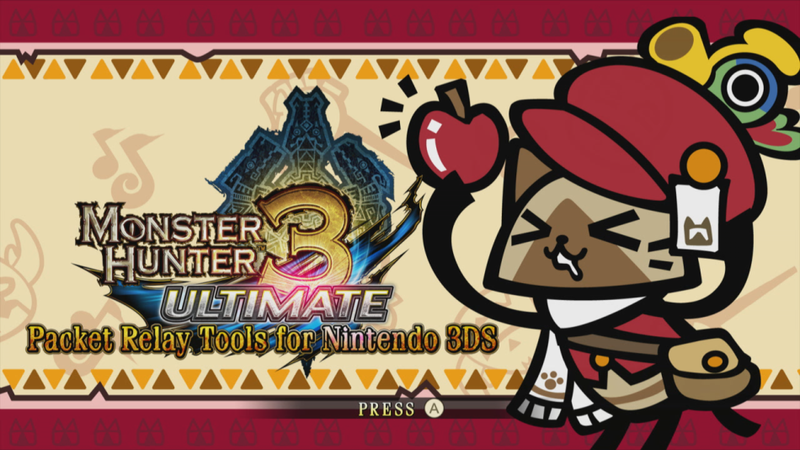 Please note: If you wish to play Monster Hunter 3 Ultimate for Nintendo 3DS over the Internet, you do not need a copy of Monster Hunter 3 Ultimate for Wii U. However, at least one of the party of up to four online players must own a copy of Monster Hunter 3 Ultimate on Wii U, and must host the online game for the other players to join. 1. Install and launch the Monster Hunter 3 Ultimate Packet Relay Tools. Ensure that the Wii U console is connected to the Internet. 3. Choose the "World" you'd like to join. 4. Select the game you'd like to join, then follow the instructions on-screen. 5. 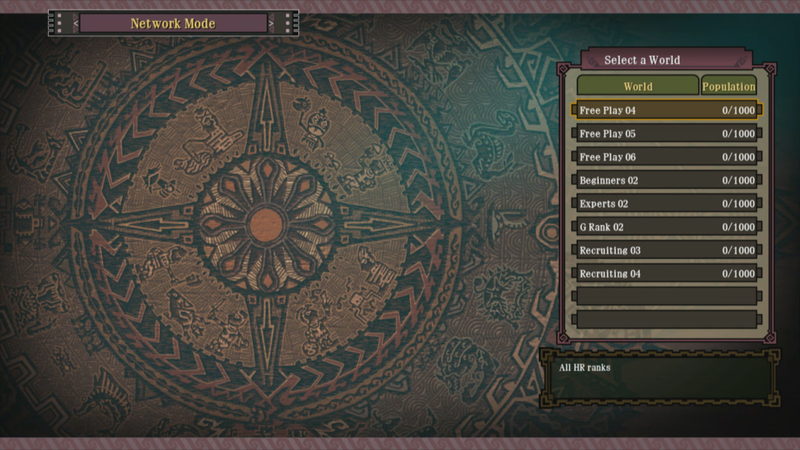 Start Monster Hunter 3 Ultimate, and select the save data you wish to use. 6. Select "Hunter Search", or speak to Neko in the bottom-left corner of Moga Village, then choose "Friend Search". 7. Select the game you chose in Step 4. Once the connection is established, you'll be able to play over the Internet. During the time that the Wii U console is providing this function for the Nintendo 3DS system, it is not possible to simultaneously use the Wii U console for playing Wii U software, or connect locally to another Nintendo 3DS system. One Wii U console can connect one Nintendo 3DS or Nintendo 3DS XL system to the Internet. It is not possible to connect multiple Nintendo 3DS systems to the Internet via a single Wii U console. 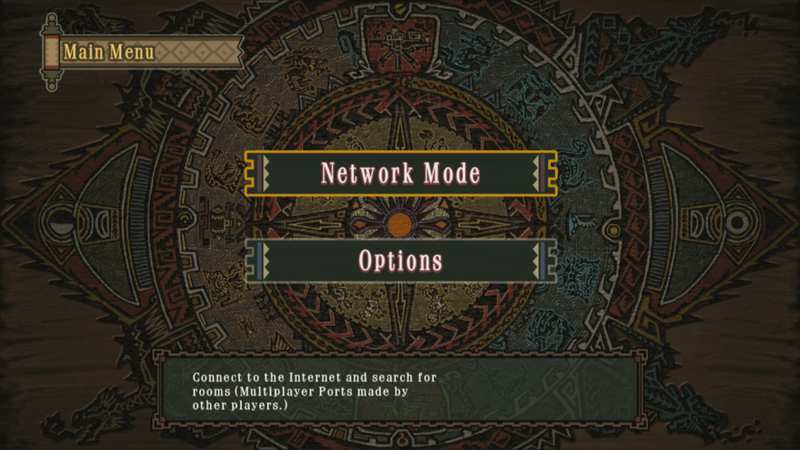 When playing online, the game must be hosted by a user playing the Wii U version of Monster Hunter 3 Ultimate. It is not possible to create an online game using a Nintendo 3DS system. Therefore it is not possible for four Nintendo 3DS systems to play online together using Monster Hunter 3 Ultimate Packet Relay Tools. Monster Hunter 3 Ultimate Packet Relay Tools requires the Wii U console to be connected to the Internet via a Wii LAN Adapter or Wii U LAN Adapter. Due to the nature of the connection between the Nintendo 3DS system and the Wii U console when using this method, a wired connection is required to connect the Wii U console to the Internet.